Could DNA prove him innocent? Florida doesn’t want to know. In 1976, a jury convicted Tommy Zeigler of four murders. Zeigler continues to maintain his innocence. He has been trying — for more than two decades — to convince the state of Florida to allow for full DNA testing of the evidence in his case. He says it would help exonerate him. But the state has refused. Again and again. Chapter 5:Could he be innocent? Do you think the state of Florida should allow for DNA testing in this case? Reporter Leonora LaPeter Anton and photographer Cherie Diez have been following the Zeigler case for years, occasionally chronicling updates. For this series, they traveled around Florida and into Georgia to interview dozens of people, some involved in the police work or prosecution, others who believe in Zeigler’s innocence. In Tallahassee, they examined old court records and dug out documents that hadn’t been looked at in decades. Some of the principals in the case, including lead detective Don Frye and Judge Maurice Paul, are dead. Any quotes or material attributed to them comes from the public record. 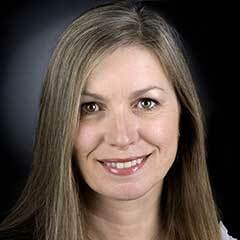 is a Pulitzer Prize-winning reporter on the Tampa Bay Times’ enterprise team. Her stories veer toward the unusual: a surrogate mother who can’t get pregnant; a broke couple who rent rooms in their mansion; a boy who says his girlfriend raped him. She grew up in Connecticut and Greece and studied journalism at the University of Illinois at Urbana-Champaign. She has worked for the Okeechobee News in Okeechobee, the Island Packet on Hilton Head Island, S.C., the Tallahassee Democrat in Tallahassee and the Savannah Morning News in Savannah, Ga. She joined the Times in 2000. She lives in St. Petersburg with her husband, and her daughter is a student at her alma mater. Contact her at (727) 893-8640 or [email protected]. Follow @WriterLeonora. Cherie Diez is a Tampa native, third generation, with family roots going back to Sicily and Spain. 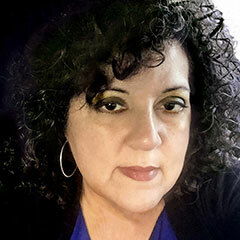 She’s been a photographer at the Times since graduating from the University of South Florida, immersing herself in numerous award-winning documentary projects and covering social issues, including child welfare, life in New York City after 9/11 and a year in the life of an Alzheimer’s support group. As a narrative photojournalist and video producer, she uses the camera to capture fleeting moments that reveal so much about a life and our world. In the past, Diez has followed a local student to the Broadway stage and documented the idea of sin with the reopening of Bourbon Street after Hurricane Katrina. Her recent multimedia projects include The House on the Corner, which was featured on NPR’s Code Switch podcast, and The Long Fall of Phoebe Jonchuck. Follow her at @CherieDiez on Twitter, Cherie Diez on Facebook, and cheriediez on Instagram.